Our client Treasure Houses of England and their Christmas events and activities are getting the Flamingo office into the Christmas spirit. The Flamingo team are busy preparing themselves for the festive season, with one account manager already sporting her Christmas jumper! 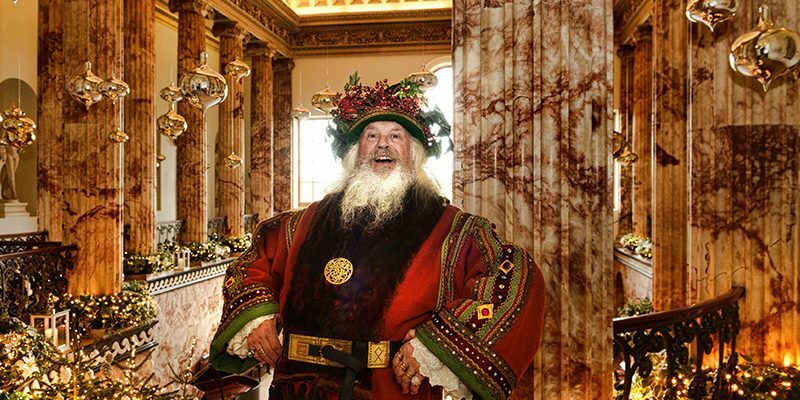 TEN of the UK’s most iconic houses, palaces and castles will be transformed into ‘Winter Wonderlands’ this Christmas with a series of festive events and activities. Burghley – Food markets with a difference! Come and meet over 30 local suppliers at Burghley’s biggest ever 4 day festive celebration of local produce. With handmade cheeses, artisan breads, organic vegetables, luxury sweet treats and rare breed meats. In the Courtyard from 9am to 4pm on Thursday 23rd November – Sunday 26th November. Free admission.